3YOURMIND and Identify3D have partnered to offer to their clients the most comprehensive and secure end-to-end 3D production system on the market. The Identify3D technology suite will be added to the Enterprise Platform for industrial 3D printing from 3YOURMIND. Enhanced IP protection will be offered throughout all stages of streamlined additive manufacturing workflows using the 3YOURMIND platforms. The partnership is another step forward to bring 3D printing into widespread adoption. Identify3D has been developing their technology suite since 2014. After successful beta versions being used throughout 2017, they are now releasing their full product suite this quarter. 3YOURMIND is the first company to integrate the security tools into end-to-end 3D printing workflows, thereby shifting industry towards agile and secure manufacturing. Identify3D ProtectTM will be added to the file verification, ordering and management processes within the standard AM workflow. This compliments the encryption-in-transit security that is already part of all 3YOURMIND platforms by adding an encryption-at-rest solution for ensuring secure handling of the data during production. 3D models that are securely uploaded to 3YOURMIND will be processed as an encrypted digital supply item (DSI). Identify3D ProtectTM creates a private DSI section with fully encrypted intellectual property and a public DSI section, which includes the minimum effective data dose for being processed over the 3YOURMIND platforms. We have been working closely with 3YOURMIND to develop data standards that maintain the maximum level of data and Intellectual Property Security for the platform users while keeping all the benefits of AM workflow digitization. The encryption protocols we have developed allow companies to work even more smoothly with both internal and external suppliers. The solutions we are developing together ensure that additive manufacturing is an option for any company, even those working in high-security environments. Stephan Thomas, Chief Strategy Officer, Identify3D. The second stage will be directing those files through the 3YOURMIND platform to specific AM machines that are equipped with Identify3D EnforceTM. Industry leaders including EOS, SLM, Materialise and Renishaw already have the ability to accept a wide variety of encrypted 3D printing parameters such as quantity, time-frame, material, production-run size, and even limits in production to a single machine or location. The technology is also available for CNC machines equipped with Siemens controller Sinumerik 840D sl. 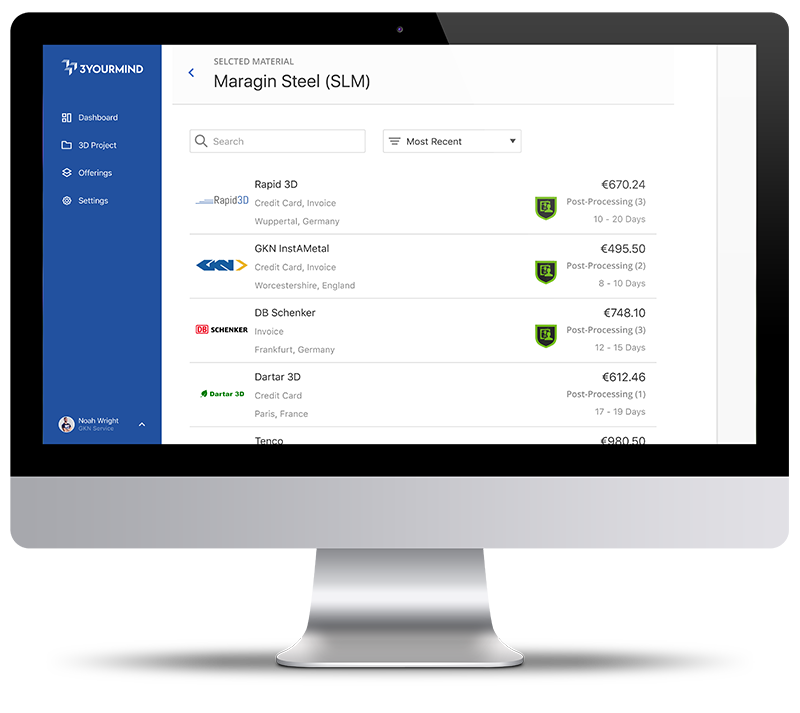 Users will benefit from centralized access to 3D printing resources, printability verification, and instant pricing via the 3YOURMIND platform. At the point the order is placed with a selected vendor that has opted into enhanced security, the DSI data file would be securely processed based on the order parameters to create a machine-specific production file with an expiration date and quantity limit. The user has full control of how many of each part can be printed, in which material and at which location, thereby providing the digital “paper trail” required in enterprise-level production. Since 2015, 3YOURMIND has offered their Enterprise platform as both an on-premises and SaaS solution. Their rapid growth, alongside that of the 3D printing industry in general, has revealed a trend towards companies working with both internal machines and an external on-demand network to maximize their flexible production capacity. With the number of companies in the production stream growing, 3YOURMIND is now stepping forward to ensure their customers have both an encrypted experience on the 3YOURMIND platforms as well as intellectual property security when they deliver files to 3D services for production. The Identify3D technology guarantees that the final 3D printed part is only completed in the pre-approved quantity, manufacturing process, material, timeframe, and machine that has been ordered through 3YOURMIND Enterprise. All of our efforts go towards maintaining straight-forward, stable, and secure platforms for our customers who are rapidly increasing their AM production. Identify3D ProtectTM adds a second layer of Intellectual Property Security to 3D files. But equally as important for us is Identify3D EnforceTM which will enable us to securely encode production parameters. 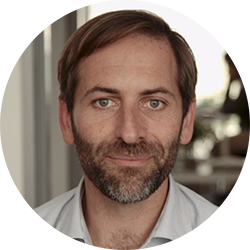 Philipp Stelzer, Head of Sales and Marketing, 3YOURMIND. Direct integration with machine manufacturers adds the ability to return tracing information from the final production process. Receiving the true final production parameters that occurred during production is central to a full workflow automation because it creates a guarantee of the quality of additive manufacturing repeatability. Initially the information feeds back into the existing platform analytics, however this new level of information detail is opening the door to smart production contracts. 3YOURMIND and Identify3D are working to develop the programming framework for Smart Contracts to dynamically create orders, the accompanying legal agreements and documenting a successful completion of all the steps to a successful, verified production. This is a key component of agile manufacturing and these automated processes will enable companies to confidently and securely produce their components with AM suppliers around the world. You can meet both 3YOURMIND and Identify3D at the Hannover Messe in Germany or the Rapid+TCT show in the US in April 2018. 3YOURMIND provides platforms to streamline industrial 3D printing for innovative companies and leading 3D services. Our platforms enable our customers to use the technology to its utmost potential. The digital 3D workflows connect teams and production locations, optimize resource utilization and enable smart AM production decisions. Our on-demand AM services provide additional expertise your company needs to move forward from CAD modeling to part optimization and technology recommendations. We work closely with our clients to connect all parts the workflow and increase the level of AM production. Our platforms are providing the pathways for the world to move into a next generation of manufacturing - Agile Manufacturing. We are happy to send you high resolution images for publication upon request.